Photographic Social Vision Foundation, in collaboration with Banc Sabadell Foundation invite you to participate in the 5th annual edition of its photobook dummy award. Summit your dummy and win 3.000 € to produce it! Open call until october 29. La Fundació Photographic Social Vision i la Fundació Banc Sabadell obren la convocatòria i us conviden a participar a la 5a edició del premi anual de maquetes de fotollibres DOCfield Dummy Award Fundació Banc Sabadell. Presenta la teva maqueta i guanya 3.000 € per produir-la! La Fundación Photographic Social Vision y la Fundación Banco Sabadell abren la convocatoria y os invitan a participar en la 5ª edición del premio anual de maquetas de fotolibros DOCfield Dummy Award Fundación Banco Sabadell. ¡Presenta tu maqueta y gana 3.000 € para producirla! J Book Show will take place in Cork, Ireland on Saturday 14th and Sunday 15th of April 2018. The show is part of the Cork Photo Festival. The festival began in 2014 as an artist led initiative, highlighting local photographers in venues across Cork City. The Cork Photo team curates exhibitions by both local and international artists. We bring together independent galleries, arts organisations, individuals and collectives all wishing to exhibit and celebrate photography. All submissions will be reviewed and successful applicants will be notified by the 1st of April 2018. To submit a book, please fill out the online submission form, and post your book to the address below. More details about the show and sign up to our newsletter for updates. We encourage handling of photobooks (no gloves) please be prepared for well looked at books to receive some wear. If you would like your photobook returned please indicate on the submission form and they will be returned by standard UK Royal mail postage. Photobookshow can not take responsibility for books lost or damaged in transit. 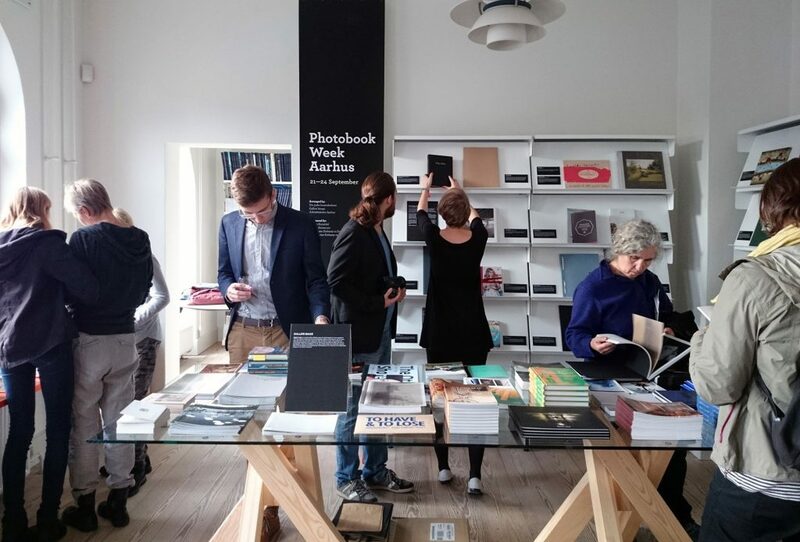 Photobookshow is a self funded project and is supported generously by galleries and supporters giving up their free time not to mention the amazing support and generosity of the photobook community. The submission fee helps to cover material costs and transporting books to and from the shows. Application for Landskrona Foto & Breadfield Dummy Award 2016 is now open! The registration is open from March 10th until May 10th, 2016. Do you want to make a photo book? Have you made a dummy* of your project? Now you have a chance to have it published. By entering for the Photo Book Day´s Open Book Dummy Review you have the chance to win the Landskrona Foto & Breadfield Dummy Award. During Photo Book Day on August 20th there will be an Open Book Dummy Review. Here four photographers will be able to present their ongoing book projects to an audience and a panel. Each photographer will first make a short presentation of his or her project, which will be followed by a conversation about the idea. The winner will be revealed/presented on stage as one of the closing events of Photo Book Day. 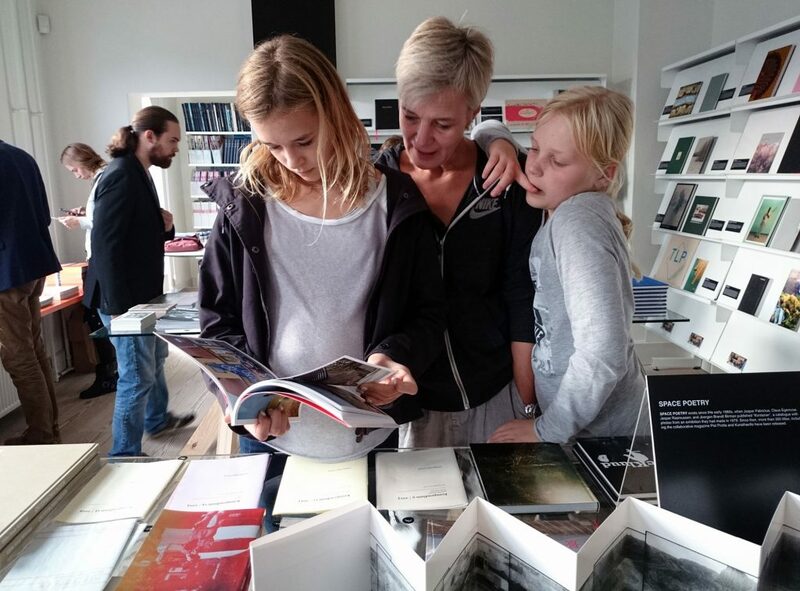 Landskrona Foto & Breadfield Dummy Award enables the winner to have his or her book project published by Breadfield Press and Landskrona Foto during 2016/2017. The prize includes all expenses for book production such as design, printing and distribution. The photographer will also receive a large number of books to dispose over and sell. The book will be printed in 500 copies. The selected dummies will also be on display as an exhibition in the Theater foyer during the days of the festival. The event costs 30 Euros to enter. This fee will go solely to aid the final four selected travel costs. Send a completed application together with your dummy in PDF format before May 10th, 2016. *You can also enter a book that has been self-published, digitally published or produced by print-on-demand, e.g. blurb. You may not enter a book that has an ISBN or one that that has been on sale. Landskrona Foto & Breadfield Dummy Award is part of Photo Book Day, arranged by Breadfield and Omfotoboken during Landskrona Fotofestival. 2) pay the entrance fee of 30 Euros. YOU WOULD BE EARTH by Meral Güler (USA) and Dan Porter (UK). You Would Be Earth is a story unanchored in time and space. So difficult to grasp, define and classify. It is enticing yet elusive. Meral Güler and Dan Porter are awarded this prize for their ability to awaken the unknown within us. The jury’s honourable mention went to Marco Frauchiger (CH) for the book M13. 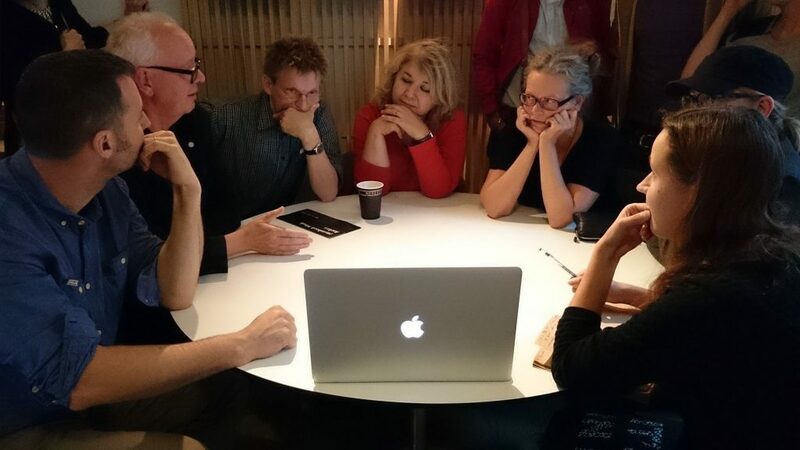 The 2015 jury consisted of Per Lindström (Landskrona Foto), Jenny Lindhe (Breadfield), Silvia Loddo (osservatorio fotografico), Nick McLean (Éditions du LIC) and Veronique Bourgoin (artist). There was a big interest in the Awards and we received 112 Dummies from all over the world. The quality was very high throughout and it was challenging for the jury to select only four projects. Here you have a new chance to publish your documentary work, the information is in Spanish only, but the Call seems to be open to all international photographers, and it’s free! You just have to send a dummy to their mail address… Good luck! La Fundación Photographic Social Vision, con la colaboración principal de la Fundación Banco Sabadell y el apoyo de The Folio Club, abre la convocatoria y os invita a participar en la tercera edición del premio anual de maquetas de fotolibros. El premio DOCfield Dummy Award Fundación Banco Sabadell se enmarca dentro del festival de Fotografía Documental que reúne a más de 50 autores en torno a 30 exposiciones y convierte a Barcelona en centro de la fotografía documental y el fotoperiodismo durante dos meses. Con esta iniciativa, el Festival quiere fomentar la consolidación del fotolibro como soporte de difusión fotográfico de historias que valen la pena ser contadas. – Impresión de un fotolibro de edición limitada valorada en 3.000 euros. – Incorporación de la maqueta y el fotolibro ganador a la Colección de Arte de Banco Sabadell. – Asesoramiento previo a la impresión en la edición y diseño del fotolibro por parte de la Fundación Photographic Social Vision, siempre con el consentimiento del autor. – Asesoramiento en la impresión, distribución y venta del fotolibro por parte de The Folio Club, siempre con el consentimiento del autor.